Search extension for Magento 1 was launched by Mageplaza that is the perfect solution that improves your searching system. 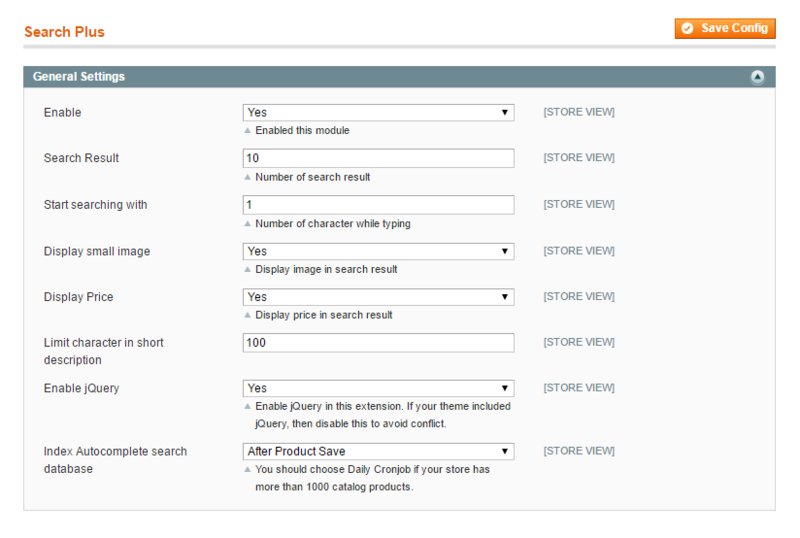 Our Search extension brings the most benefits for your customer in terms of finding prefered product. The relevant searching results will be shown immediately after customer enter the first letter of product name. Thus, this extension will help to save your customer’s time, make customer satisfaction and make your sale increase definitely. Mageplaza Search for Magento 1 User Guide will provide the detailed instructions to know How to use on the frontend and How to Config on the backend. Customer will click on the result that they are finding, then redirect to product page. In the Start searching with field, enter the number of character that be required to active search system. In the Enable jQuery field, select “Yes” to enable jQuery in this extension. If your theme included jQuery, then disable this to avoid conflict. You should choose Daily Cronjob if your store has more than 1000 catalog products. When complete, click on Save Config button. That’s all about the user guide of Mageplaza Search extension for Magento 1. If you still have any question, please feel free to contact us.